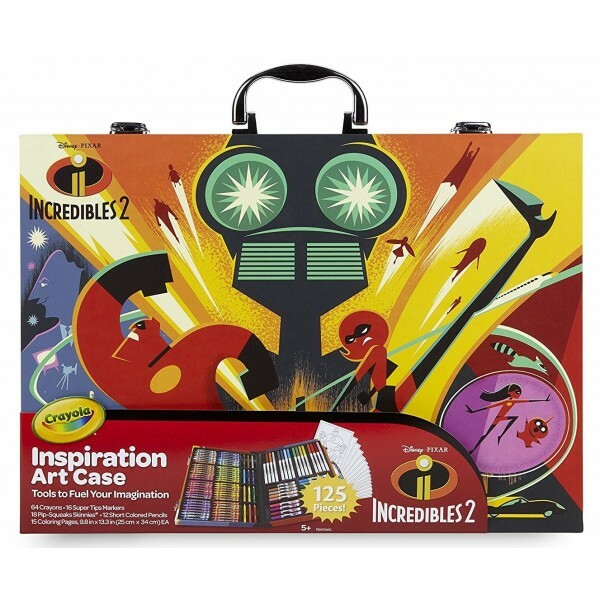 Kids will love bringing their favorite Incredibles characters to life through vibrant color with this Incredibles 2 Inspiration Art Case! 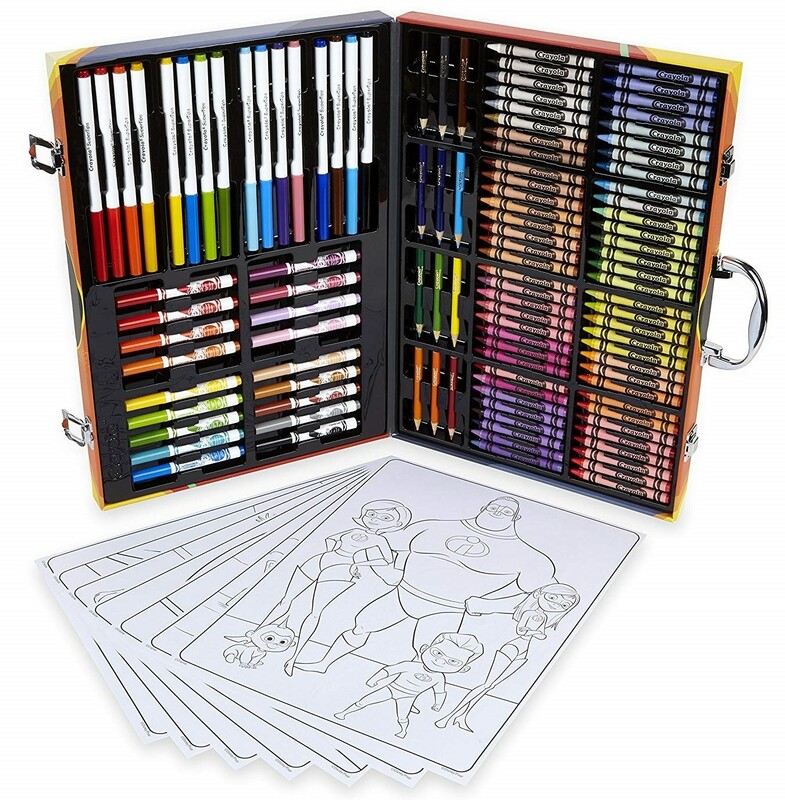 Become an artistic superhero with this huge assortment of creative tools in a cool, portable storage case — over 90 pieces of Crayola art supplies. 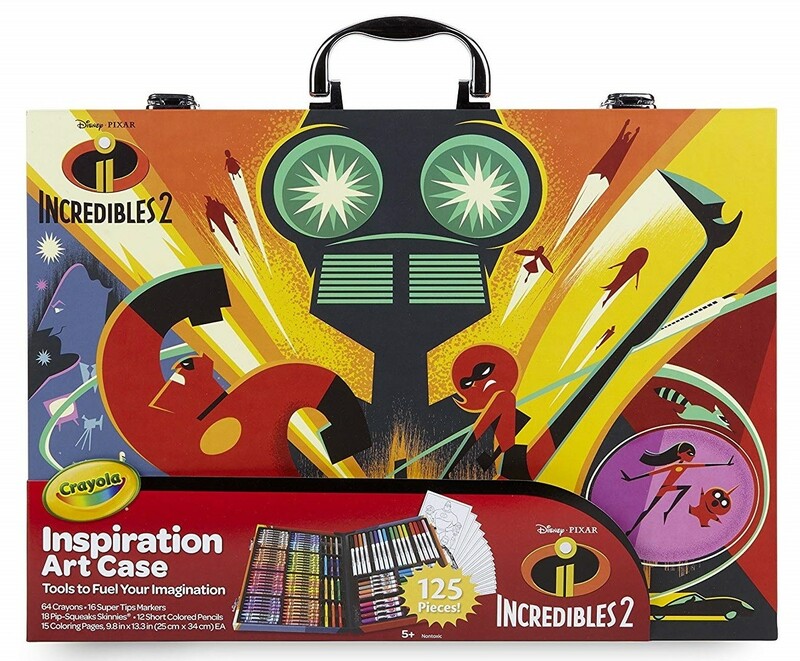 The tools in this special Inspiration Art Case are inspired by the vibrant colors of the Incredibles 2 movie. The set includes 16 Super Tips washable markers, 18 Pip-Squeaks Skinnies washable markers, 12 colored pencils, 64 crayons, 15 custom Incredibles 2 coloring pages and a portable storage case. For more kits to inspire art-loving kids, visit our Arts and Crafts Collection.